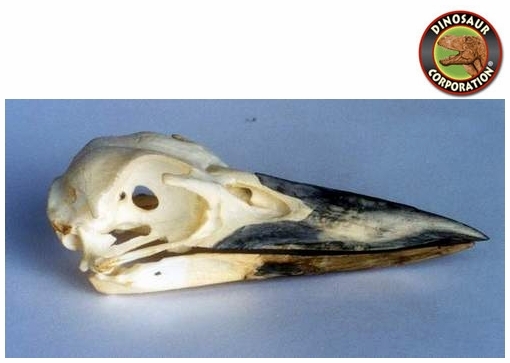 Kookaburra Bird Skull. Dacelo novaeguineae. AVES/CORACI- IFORMES. Kookaburras (genus Dacelo) are terrestrial tree kingfishers native to Australia and New Guinea, which grow to between 28�42 cm (11�17 in) in length. Kookaburras are carnivorous. Kookaburras are known to eat the young of other birds, mice, snakes, insects and small reptiles. They have also been known to take goldfish from garden ponds. In zoos they are usually fed food for birds of prey.